I realized that my TV viewing time has drastically reduced these last four years or so. I've not kept track but I suspect that my average viewing time has come down to a couple of hours a week and that, mostly on weekends. Though I was never a big TV viewer in any case, this change in habit has been subtle but noticeable. I used to watch News channels quite a bit especially back in 2008-09 when the 2G scam hit the headlines in a big way and redefined the manner of reporting on mega scams, but now it's come down drastically since I find all the shouting and slanging matches quite tiresome and increasingly boring. I hardly watch any live cricket matches these days due to paucity of time and also the fact that I'm at work on weekdays and otherwise busy on weekends with personal work. I've stopped watching TV serials/soaps too - for reasons too numerous to quote here, but covered in another article. It's another matter that the quality of TV programming has drastically reduced these days, with drab, uncreative reality shows taking prime time slots. I never developed any taste or interest for reality shows and I am glad I didn't bother to. I find that I no longer have the patience to watch movies on TV, since the ad breaks become increasingly annoying and disturbing the flow of the movie. Rarely on weekends I view a movie or two on Hotstar, on the mobile. I watch Cricket highlights only when India is involved, but my overall interest in cricket has come down quite a lot these days. My next target is to cut down time spent on social media (not that I post much, but I sometimes inadvertently end up browsing a heck of a lot on my Facebook phone app, viewing baby and cat videos, memes and other random funnies, sometimes for hours on end). It is simply mind-numbingly unproductive; a waste of time. Luckily I have BSNL as my service provider, which means that the data speeds are abysmal for watching videos (and I have a limited data plan anyway) and so I watch videos only when at home with the WiFi connection. Just to avoid spending too much time on social media, I don't plan to get a 4G connection with high internet speeds on my phone. I suspect that these days, social media addiction has replaced TV addiction for a lot of people, and not much has really changed in terms of the actual passive content consumption. I'm hoping to break even my relatively limited addiction to social media and slowly phase it out completely. 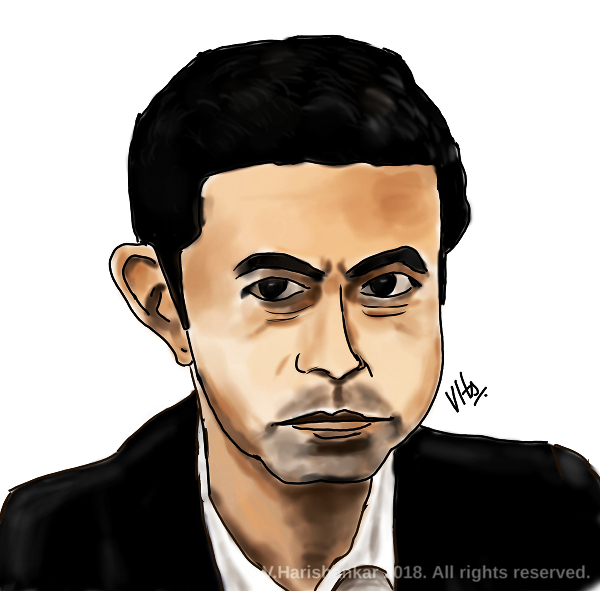 Caricature of Rahul Shivshankar, news anchor and editor. Krita with my XP-Pen Artist 10S. 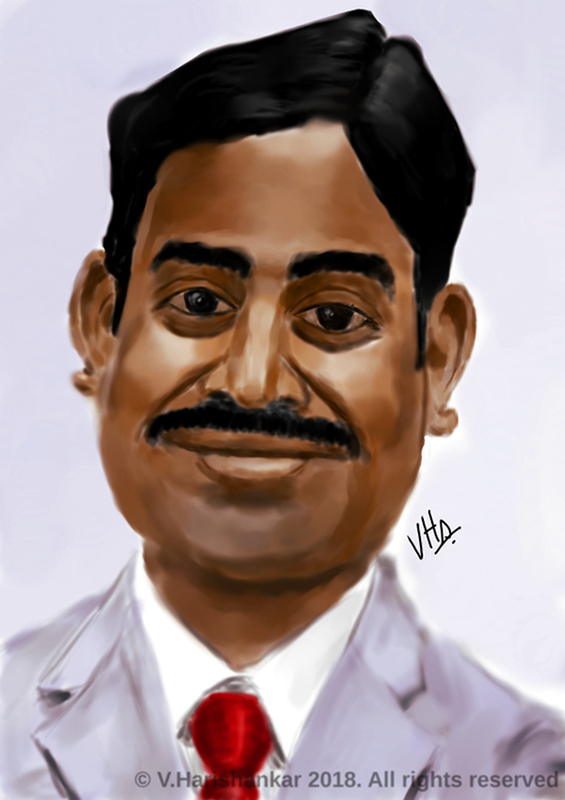 Another portrait of a colleague. Painted using Krita with my XP-Pen Artist 10S tablet. 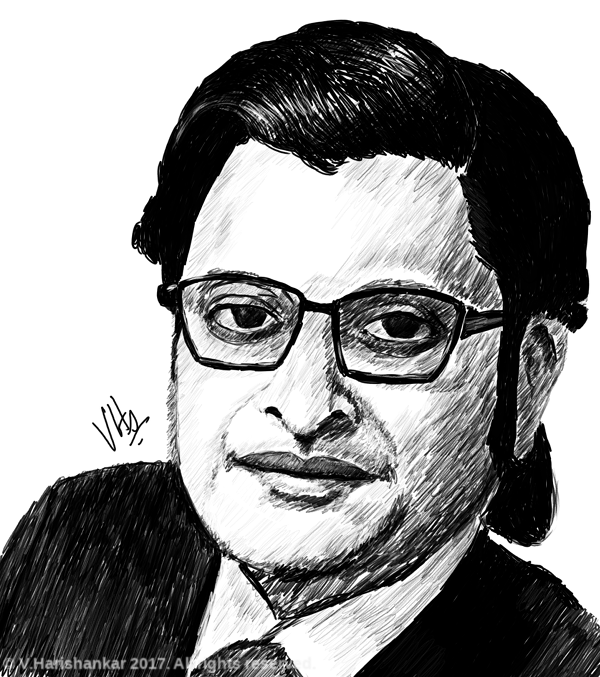 Portrait of Arnab Goswami. Painted using Krita with my XP-Pen Artist 10S. 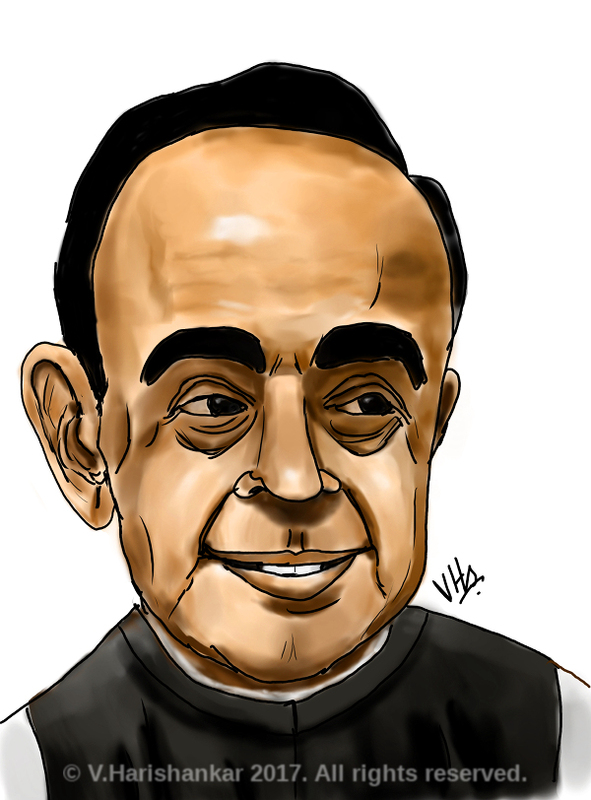 Caricature of Dr Subramanian Swamy. Painted using Krita with my XP-Pen Artist 10S. 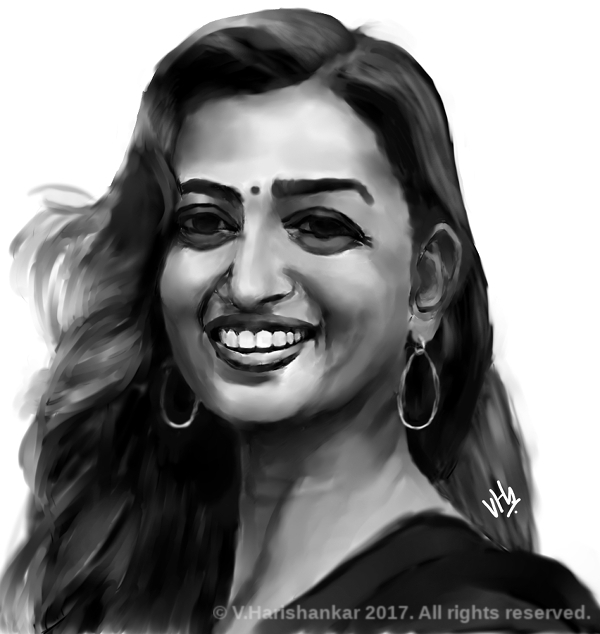 Portrait of actress Radhika Apte. Painted using Krita and MyPaint with my XP-Pen Artist 10S.